Organizational charts are amongst the most commonly used types of diagrams. 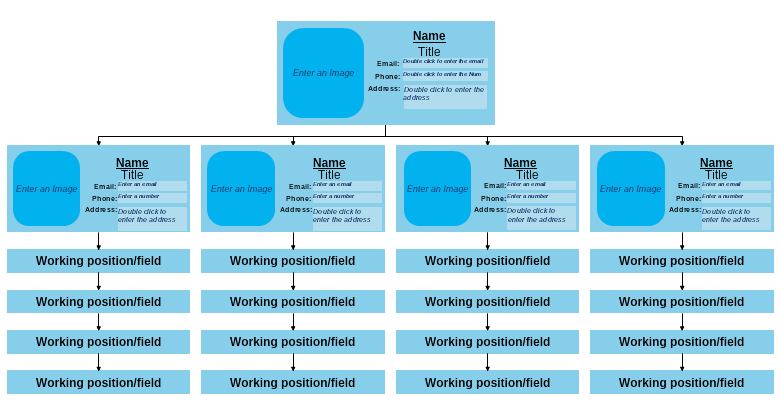 This simple organizational chart template consists of boxes with grouped elements, including a photo holder, name, title, address, phone number, and email fields. To edit this template you can simply delete some of the elements or copy / paste the entire box to add new ones. Download this simple organizational chart template and adjust it to your needs within minutes, using Nevron Draw.